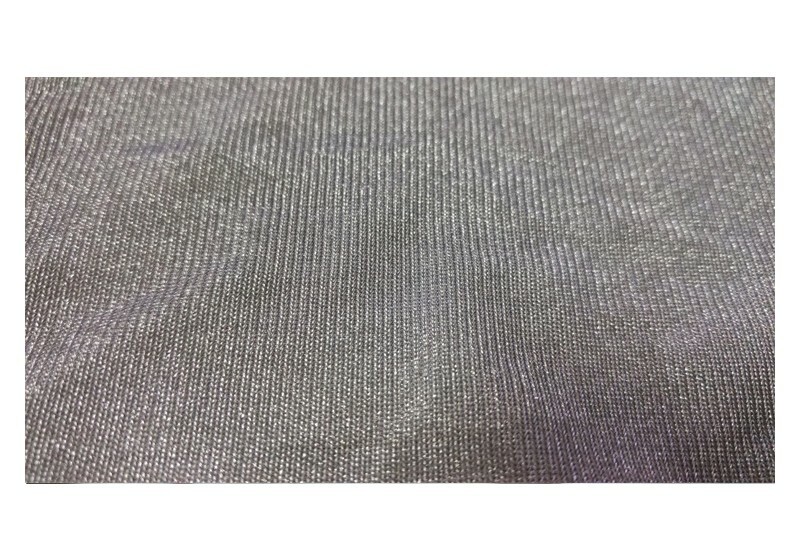 Silver Fabric is a good EMI EMF material widely used in making maternity dresses, touch screen gloves. Silver has good electrical conductivity, and this property is usually several times as much as that of metals, so fabrics made from silver fibers are good materials for shielding electromagnetic radiation. Because of the electrical conductivity of silver, the static electricity on clothing can be quickly removed and then very comfortable when worn. The mechanism of metal silver sterilization is to block the physiological process of bacteria. In the warm and humid environment, silver ions have very high biological activity, which means that silver ions can easily combine with other substances, the bacterial membrane protein coagulation, thereby blocking the respiration and reproduction of bacterial cells. Because the growth of bacteria causes a foul smell, silver ions can reduce or eliminate the odor produced by bacteria. In the summer, silver fiber can quickly transfer the temperature of the skin to the surface to lower body temperature and cool people. In the cold winter, the body's pores no longer sweat a lot, and instead can store or reflect heat back into the body to produce the best warming effect.